Ok, what happened to March? I couldn’t believe it when I saw my last post was dated from February. Was I here when March happened? Why didn’t you guys wake me up? 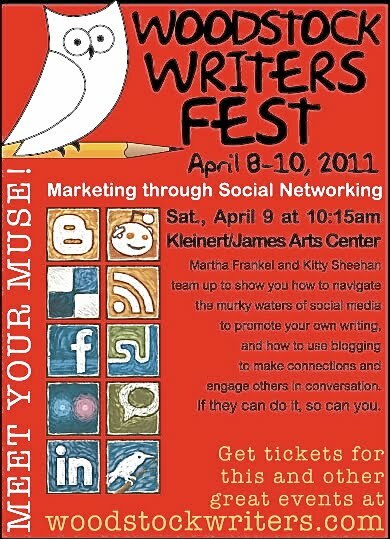 the Woodstock Writer’s Fest this weekend, doing a social media panel with my friend Martha Frankel. You should come. I’ll take some photos just in case you can’t make it. Another big project that’s just gotten off the ground is the new blog we’re doing over at Frontier Natural Products Co-op, the spices and seasonings company I write for. We’re pretty excited to get this underway. If you want to check it out, it’s here. If you leave a comment, I’ll love you forever. That’s how it works. Can't make it Kitty so take lots of pictures, 'kay?